Federal prosecutors alleged Tuesday that an online gambling site whose internet domain the United States seized in April was a scam, and executives lined their pockets with millions of dollars purloined from players’ wagering accounts. “Full Tilt was not a legitimate poker company, but a global Ponzi scheme,” Preet Bharara, the U.S. attorney in Manhattan, said in a statement. The allegations come five months after Bharara seized the finances and domains of the world’s largest offshore, online gambling sites, including Full Tilt Poker of Ireland. Bharara initially charged Isai Scheinberg, the founder of PokerStars, and Raymond Bitar, the founder of Full Tilt Poker, and nine others of fraudulently scheming to thwart a 2006 anti-gaming law that prohibits U.S. banks from processing internet wagers and payments. The latest allegations (.pdf) could serve as ammunition against renewed efforts by state and federal lawmakers to legalize online gaming in the United States. One of the reasons it was outlawed in 2006 was the perception that gamblers could be taken to the cleaners by criminal online gaming operations, Patrick Fleming, an attorney for the Poker Players Alliance, said in a July interview. When the government seized the domains on April 15, tens of thousands of gamblers were frozen out of their accounts. In a deal with federal prosecutors, PokerStars, headquartered in the Isle of Man, is refunding to U.S. gamblers the $120 million they lost when the government seized its U.S. domain. But Full Tilt Poker had not refunded the $150 million that federal authorities claim is owed to U.S. gamblers, a mystery perhaps solved by the fed’s Ponzi scheme allegations. All told, according to the government’s complaint, Full Tilt Poker owed $390 million to players worldwide, but had about $60 million in cash. 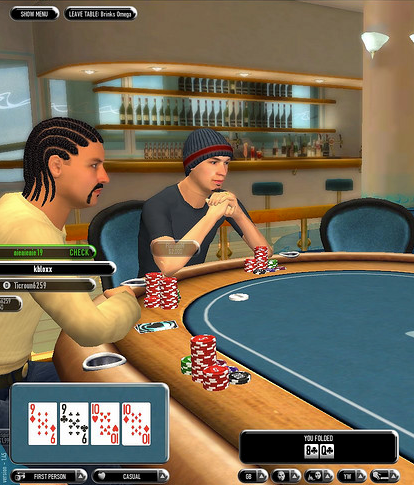 Since 2007, the government claims Full Tilt Poker enriched its board members and owners with $443 million in payouts, while telling players they could withdraw from their accounts at will. The Unlawful Internet Gambling Enforcement Act of 2006 (.pdf) was passed in part to combat terrorism by controlling money laundering. In response to the law, many overseas internet gambling sites blocked access to players in the United States, though others, including PokerStars and Full Tilt Poker, did not. On Black Friday, as April 15 has come to be known in the gambling community, the government blocked the online casinos that did not deny access to players from the United States, seizing their assets in the process. The government’s Tuesday complaint alleges that Full Tilt Poker’s board members, including Bitar, Howard Lederer, Christopher Ferguson and Rafael Furst, defrauded players to make themselves rich. Bitar received approximately $41 million, Lederer $42 million, Furst $11.7 million and Ferguson at least $25 million, the government said.